/Creating, Editing and Managing Events /What is a promoter sale? A promoter sale is any sale done on your event page while logged into your account. When you are logged into your account, you will be able to buy a ticket just like your customers can through the event page. 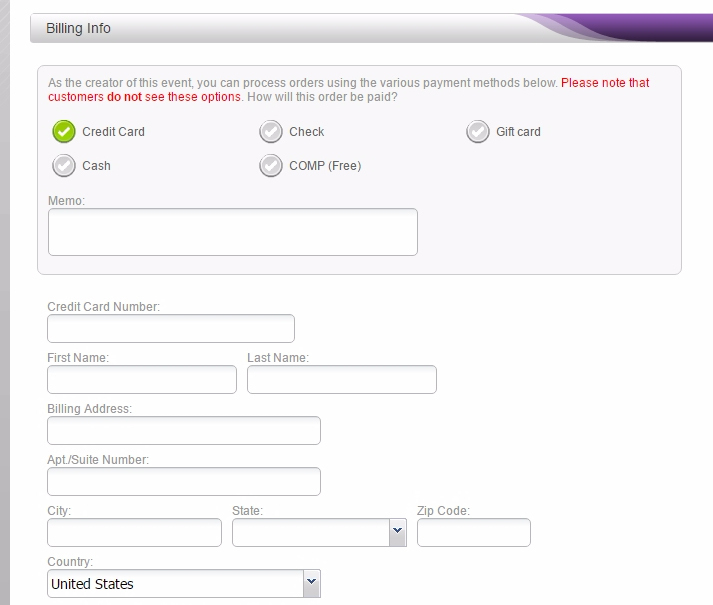 You will see special options during checkout that are only available to you. Your customers will not see these options. In this section you will have additional options such as Check, Gift Card, Cash, and COMP. NOTE: Service fees still apply when making any type of promoter sale except for COMP. Make sure you collect these fees as you will be billed a service fee on these sales.